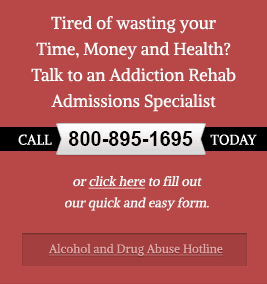 Alcohol detox is the vital first step of any addiction treatment program and must take place in order for recovery to happen. Likewise, detox is not recovery and it’s important to remember that psychiatric counseling must take place in order to provide the best chance of long-term sobriety following alcohol addiction. Detox can be difficult, painful and potentially fatal which is why it is recommended that you never detox alone. Detoxification is the process of eliminating physical dependence on alcohol by not drinking and allowing the physical dependence to dissipate in time. Most of the time, alcohol detox will take place over a period of about 2 weeks but for some, the process my be much longer. Those who have been heavy drinkers for a very long time could suffer very dangerous withdrawal symptoms during alcohol detox that should be monitored closely by a physician. Not all people who are addicted to alcohol will require a formal detoxification stage. Some can transition right into rehab without suffering very adverse withdrawal symptoms while others may suffer the most serious form of withdrawal symptoms (DTs) and require medical response during detox in order to ensure their safety. This will likely depend on the severity of your addiction, your medical status, age, and other factors.